Having deep stains, mottled or pitted and discolored teeth can be an embarrassment to some and these stains may need to be restored by a dentist with dental bonding procedures such as composite bonding, veneers or full crowns to provide a more aesthetic appearance. Although not as conservative as bleaching, the procedures may assist in achieving a more wholesome facial image. Dental veneers are shell-like facings usually made of composite resins or porcelain that are bonded onto the surfaces of teeth. When will I require veneers? When would I be unfit for veneers? What are the types of teeth veneers? Direct Bonding – Direct veneers use bonded composites. Direct veneers may not involve the removal of significant tooth structure. If tooth structure is not removed, such veneers are considered to be a reversible treatment. 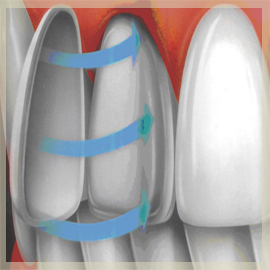 Indirect bonding (Traditional veneers) – Indirect veneers use a ceramic material, such as porcelain. The front surface of the tooth is prepared to provide space for the veneering material. Therefore, indirect veneers are not a reversible procedure. 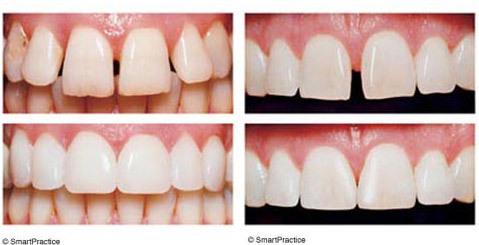 Composite veneers can be made directly or more commonly indirectly. Indirect composite veneers are fabricated in a dental laboratory from an impression of your teeth. A small amount of tooth structure must be removed for this indirect composite restoration. A direct technique for composite bonding does not require as much removal of tooth structure. Teeth indicated for composite bonding are isolated, polished with pumice and acid-etched. A dental bonding agent and an optional opaque can be added before the composite is molded onto the tooth surface. This procedure can change the appearance and shape of the tooth. This procedure is quick and requires only one visit. It is relatively inexpensive and is good for young teeth with large pulps. However it can look bulky and has the potential to shrink, chip and stain over time. A porcelain veneer is ideal for older teeth. Fabrication of a porcelain veneer uses an indirect technique and involves preparation of the tooth by removing a thin layer of tooth structure, making an impression and sending the impression to the laboratory for construction of the porcelain veneer. A temporary veneer is made and worn until the second visit. On the second visit, the temporary veneer is removed and the permanent veneer is placed and bonded to the tooth surface with composite. 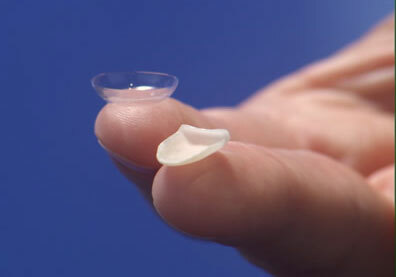 Porcelain veneer can be bulky and if they are not done properly, can stain the margins and can chip. They are expensive but have good aesthetic properties and are more durable than composite veneers. LUMINEERS are ultra-thin (approximately 0.2 mm) and highly translucent dental veneers made out of porcelain, allowing them to replicate the natural appearance of teeth. While traditional veneers are much thicker, requiring the grinding down of the original tooth structure, little to no tooth reduction is necessary for the attachment of LUMINEERS due to its thin properties. The LUMINEERS are bonded to natural teeth in a similar way like composite veneers therefore requiring no injections unlike traditional porcelain veneers. How much would veneers for teeth cost? Cost of veneers varies according to the type used. Porcelain veneers are more expensive than their composite resin counterparts. Traditional porcelain veneers are about 0.5 millimeters thick, and may cost from $500 to $2,500 per tooth. Porcelain veneers can last 10 to 15 years. Composite veneers cost approximately $250 to $1500 per tooth and are expected to last 5 to 7 years. The Lumineers® brand may cost around $700-$1,300 per tooth. Lumineers® claims to last for over 20 years. There may be a fee for the initial consultation ($65-$102) and X-rays ($13-$135). Veneers are rarely covered by dental insurance. Where can I find cheap dental veneers? You can try to get reduced rates for services by supervised students or faculty at dental colleges. State dental societies sometimes provide financial assistance for low-income patients although cosmetic veneers might not be covered. I never thought that I would learn so much from this post. It is undeniably true that the latest innovations in dentistry made it possible for us to achieve a perfect set of teeth we’ve been dreaming of. This was a very informative post about dental veneers. Thanks! If your teeth are just too stained up and you have tried several over-the-counter whitening kits and professional whitening kits from your dentist, with not much help, then porcelain veneers may be a good option for you. Also, whitening methods won’t touch teeth stained my medications such as tetracycline. So dental veneers may be your best option to get your teeth pearly white. If cost is a big factor for you, try searching around for cheaper cosmetic dentists in your area or possible other areas too. Another way to save money on veneers is to only cover the teeth that show when you smile.